I always buy from Rocky Mountain ATV/MC and get new tires only a few months old. uspspro this are looking good!!! 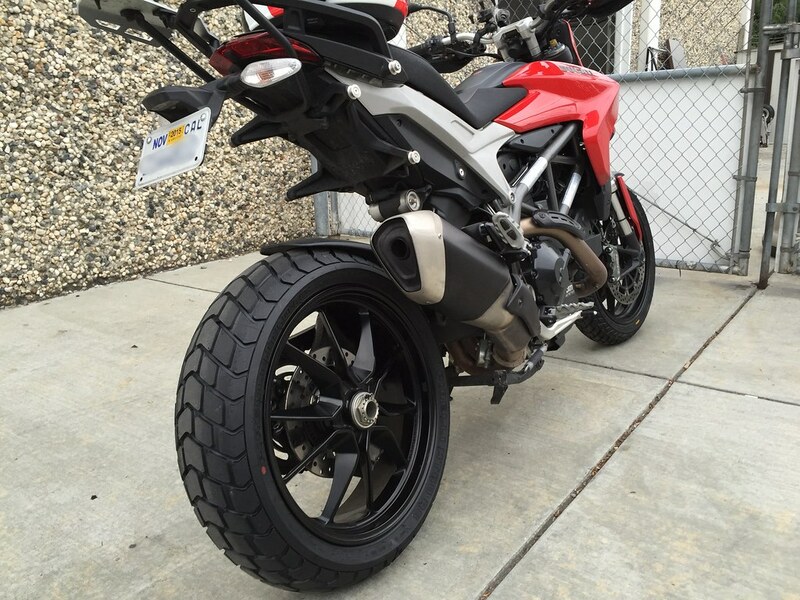 uspspro: Pirelli MT60R looks great on th HS! Very curious to hear feedback on how they perform near the limits on the road. I have a concern that the blocky pattern squirms/slips in stuttersteps under power when we'll heeled over - I had that specific problem with Bridgestone's ADV-type tires on the DL1000 V-Strom. Mind you those had larger, fewer blocks, but that was a nasty way to lose grip on asphalt. The switch to Michelin PR3 was a huge improvement. 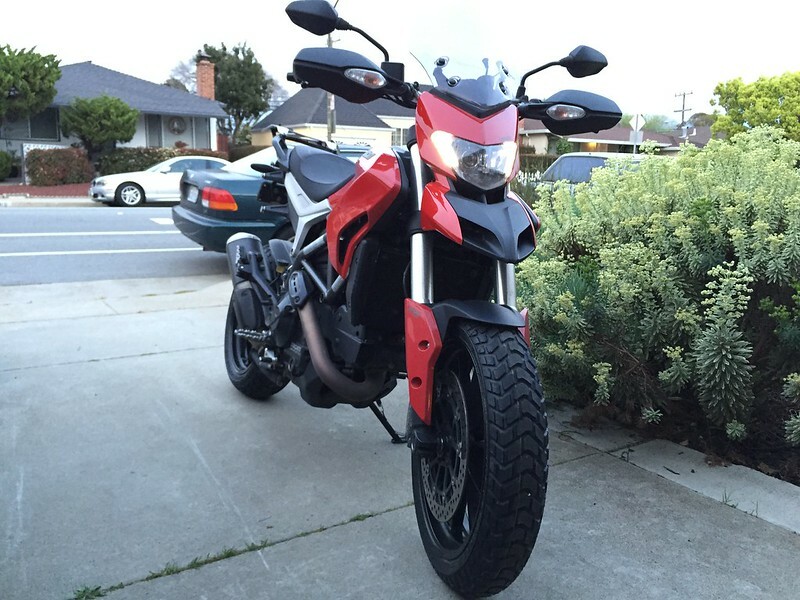 uspspro, so, how are the Pirelli MT60R's performing on the road, especially when you push the envelope? Hi there, I am bought some Q3's but have not had them installed, yet. Do you think they will help with the choppy feeling in the front end? I went to Q3s because "GRIP" is important to me, more than longevity. I think Q3's are fine, but I think Zippy is right and most of the "choppiness" is the forks with weak springs and too much preload plus poor flow for damping. I am leaning towards the Racetech rebuild that seems to work for others. That or the Mupo. I don't have a problem with the shock, but I don’t like the twitchy, bouncy forks. Love the looks. Rain mode and dirt? !